Move over Microsoft’s Surface and Apple’s iPad, you have some new competition. Google and Samsung have now announced the previously rumored Samsung Nexus 10, and it is looking to be a rather impressive alternative to other 9 and 10-inch devices on the market. What makes the Nexus 10 so special? For starters, the Retina display just got one-upped in the form of the Nexus 10’s 2560 x 1600 resolution display. While not worlds better than what the Retina offers, it is certainly on par at the very least. Other reasons why the Nexus 10 is actually quite attractive as an alternative is that it features a high-powered Samsung Exynos 5 SoC, a Mali 604 GPU and has about 9 hours of video playback out of one charge. Honestly, the aesthetic in the new Nexus 10 isn’t going to appeal to everyone. Many of us can probably agree that the iPad has a more attractive design. What makes the Nexus 10 more attractive though its great display, great processing power and its extremely competitive pricing. The base Nexus 10 has 16GB of storage and will cost ONLY $399. This is an absolute steal and is $100 cheaper than the base iPad 4th generation. 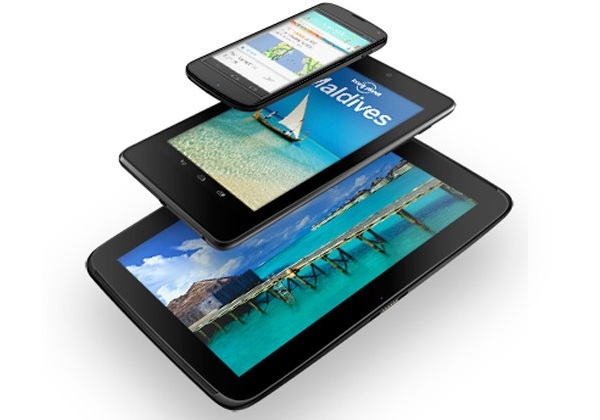 As for the 32GB Nexus 10, it will set you back $499. No word on 4G LTE at the moment, but that doesn’t mean one isn’t coming. Is this an iPad killer? Probably not. People like iPads and Apple has a clearly established ecosystem. Could it certainly put pressure on Apple and become yet another strong alternative? Absolutely. Expect the Nexus 10 to be quite successful, even if not to the same level as the iPad.